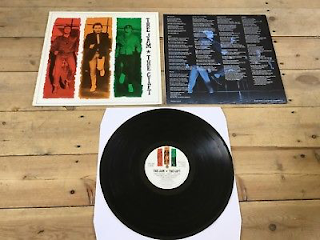 Released in March 1982, this album signalled the beginning of the end for The Jam as Paul Weller was no doubt hatching his Style Council project in his mind. 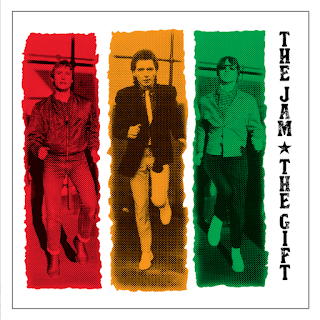 Weller used horn players on this album as his Motown/Stax influences grew stronger. The traditional Bruce Foxton (bass) and Rick Buckler (drums) rhythm section seemed less integral to The Jam's sound on this one, despite some high points - Foxton's "Town Called Malice" intro for one. 4. Just Who Is The 5 O'Clock Hero? The afore-mentioned Motown-influenced "Town Called Malice" was, of course, a huge chart topping single. Its B side, "Precious", a worthy first stab at funk that left some early punky fans of the band a bit in two minds. "Carnation" and "Ghosts" were beautiful Weller "slowies" and "Happy Together" a reasonable, upbeat opener. "Trans Global Express" continued the funk experimentation, its hook directly lifted from the Northern Soul obscurity "So Is The Sun" by "World Column". The suitably breathless "Running On The Spot" is upbeat enough, but to be perfectly honest, it is nothing special. "Just Who Is The 5 O' Clock Hero" is a quirky number with cynical lyrics about the working life and "The Gift" is a sort of energetic rock meets Northern Soul groove. "The Planner's Dream Gone Wrong" was a bit of a calypso-inflenced mess, while Foxton's instrumental "Circus" somewhat inessential considering the excellent "A Solid Bond In Your Heart" (later to be recorded by The Style Council) was not included (it appears in the bonus tracks). 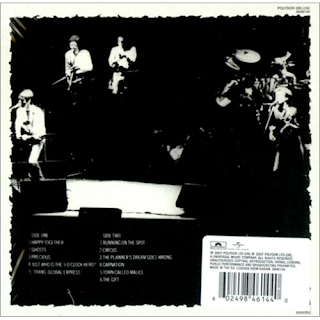 The bonuses include the great non-album singles of "The Bitterest Pill" and the band's final single, "Beat Surrender" and some ill-considered soul covers in "War" and "Stoned Out Of My Mind". The remastering on this is, a bit like that used for "Sound Affects" a bit to tinny for my liking. The best remasters of this material can be found on the "Direction Creation Reaction" box set. As with "Sound Affects" though, the extras are remastered in a much more bassy, appealing fashion which is equally perplexing. One could see which direction Paul Weller was going here. What was amazing was that he called the whole thing to a halt virtually overnight. Five great years. Maybe, like The Beatles, The Clash, "Fawlty Towers" and "The Office", he was right. The Jam left a great musical legacy.